Life is Strange 2‘s first episode arrives later in September 2018, starting an entirely new story in the game’s universe. Dontnod is preparing people for it by giving us a behind-the-scenes look into the team’s motivations when it developed the game and how the creators hoped to add to the franchise while keeping its core elements alive. The Life is Strange series is about everyday relatable characters, facing universal issues laced with a twist of strange. You’ll play as Sean Diaz trying to take care of your younger brother, Daniel Diaz. After a catastrophic turn of events, both of you are forced to flee your home in Seattle. The core adventure and character/plot development will take place on your journey to Mexico. In terms of gameplay, fans can expect the usual emphasis on dialogue, with some supernatural elements thrown in. (Although, what those supernatural parts are remains a mystery). Visual improvements will come in the form of enhanced body and facial animations and more detailed assets. At the same time, the art style will remain distinctly Life is Strange. The goal is for this game to be immediately recognizable. Anyone who has followed the franchise knows that music plays a big role in Life is Strange. Fans can expect more, presumably indie, licensed tracks, but also mixes by Jonathan Morali. 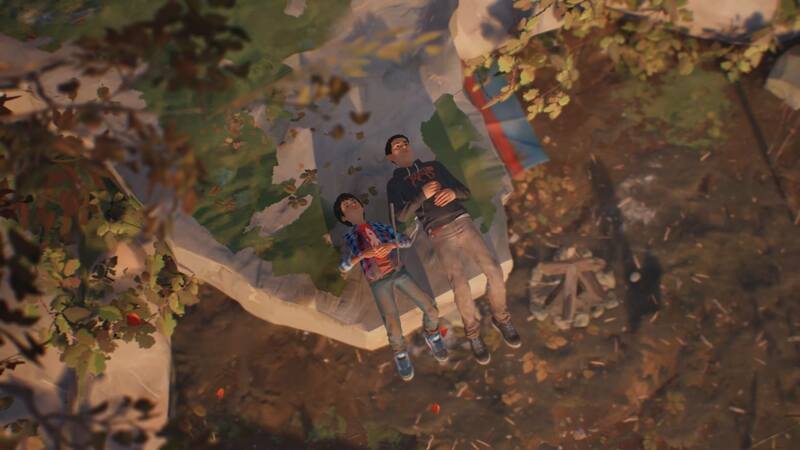 The original score is meant to evolve more dynamically with the game than it did in the first Life is Strange. You can see how all of these development decisions play out when Life is Strange 2 releases September 27, 2018 for the PlayStation 4, Xbox One, and PC.